VANCOUVER, BRITISH COLUMBIA--(Marketwired - Nov. 16, 2016) - Glance Technologies Inc. (CSE:GET)(CSE:GET.CN)(FRANKFURT:GJT) is pleased to announce continued growth of Glance Pay, its mobile payments app for restaurants. 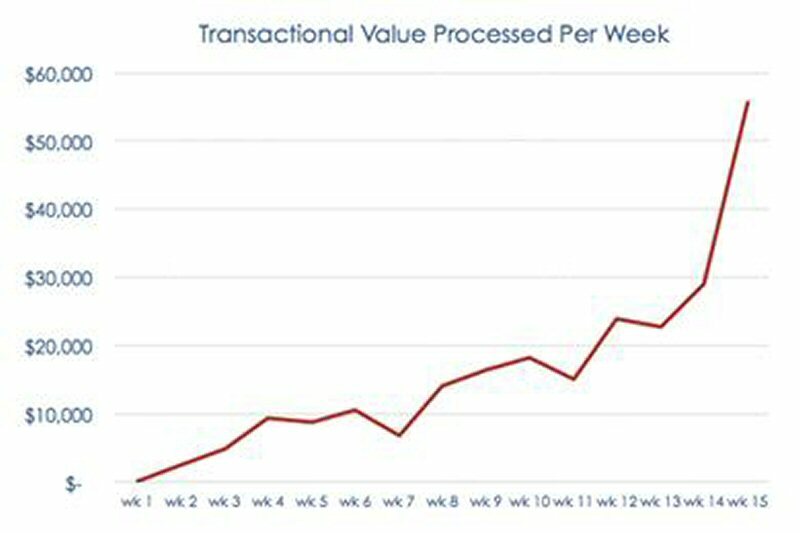 "We are blown away by the response to our product in our first few months of operation," says Desmond Griffin, CEO of Glance, "Our weekly transactional value for the last week of operations increased by 92% compared to the previous week (which had been our best week), with total transactional values reaching $55,690 for the last 7 days of operations". 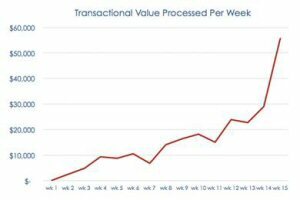 The number of users who have completed payment transactions through Glance Pay has also been increasing at a similar pace each week, with a good balance of new and repeat users engaging with the app. Glance's management is very pleased with Glance Pay's adoption rate and success in continuing to sign up new restaurants to the app. In the past 8 days, 6 new restaurants have signed contracts to offer Glance Pay as a payment method to their customers. Glance is also pleased to announce that Glance Pay has successfully gone live in 7 additional restaurants in the last 8 days, including: Brix & Mortar, the Fountainhead Pub, Fets Whiskey Kitchen, Chicha, Fable Diner, Tap Restaurant and Bao Down. Glance Pay is now live in 6 cities in British Columbia: the City of Vancouver and the 5 suburban cities of West Vancouver, North Vancouver, Richmond, New Westminster and Surrey. A full description of restaurants currently accepting Glance Pay can be found at www.glancepay.com/glancerestaurants. Glance currently generates revenues by charging restaurants a percentage of the transactions processed through the app. As part of its expanded revenue strategy, Glance has been identifying, negotiating and entering into reseller and referral agreements with companies offering complementary services. As part of this strategy, Glance has entered into an agreement with a leading payment processing company. This alliance allows Glance to market a full payment solution to restaurants throughout Canada that combines Glance Pay with traditional credit card and debit payment processing methods. Glance Technologies owns and operates Glance Pay, a streamlined payment system that allows customers to pay their restaurant bill instantly with their mobile device. Glance Pay aims to revolutionize how smartphone users choose where to dine, settle their restaurant bills, access their payment records and interact with their favourite restaurants. Glance Pay intends to become the industry standard as one of the four pillars in restaurant payments, beside credit cards, debit cards and cash. Glance is building a valuable network of restaurants and consumers, to which it plans to expand its service offering over time. For more information about Glance, please go to www.glance.tech. This press release contains certain forward-looking statements within the meaning of applicable securities law. Forward-looking statements are frequently characterized by words such as "plan", "expect", "project", "intend", "believe", "anticipate", "estimate" and other similar words, or statements that certain events or conditions "may" or "will" occur. Specifically, the transaction volume reported in this press release has not been verified by an audit, and there can be no guarantee that Glance will continue to sign up new restaurants to use Glance Pay. Although Glance believes that the expectations reflected in the forward-looking statements are reasonable, there can be no assurance that such expectations will prove to be correct. Such forward-looking statements are subject to risks and uncertainties that may cause actual results, performance or developments to differ materially from those contained in the statements. About this company Glance Technologies Inc.